Once you invest in a top notch air conditioner from Designer Appliances, you're going to want to make sure that it's operating efficiently over time. The key to ensuring that this happens is to maintain the air conditioner. Cleaning the filter and eliminating built-up dust are just parts of the equation. Many window air conditioner models created by Frigidaire are Energy Star rated, meaning they're designed to reduce your carbon footprint while they're in use. However, there's always more that you could be doing to sustain your appliance. 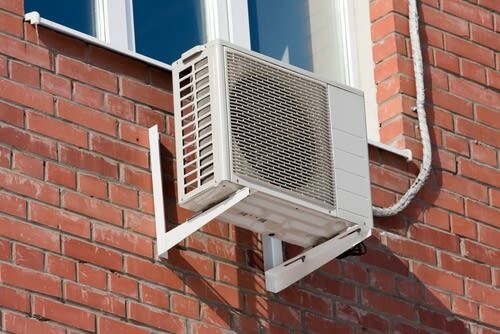 Here are some tips for keeping your air conditioner in tip-top shape. As Discovery states, debris that makes its way into the outer workings of your air conditioner can slow it down over time. For this reason, it's a good idea to check around the appliance and make sure that it isn't being negatively impacted by the elements. Trim nearby branches and foliage if they happen to be close to your air conditioner. This can ensure that your device is always operating efficiently without Mother Nature in the way. The filter stops dirt and debris get from entering the air in your home. Needless to say, it plays a critical role in the efficiency of your air conditioner. The U.S. Department of Energy recommends cleaning out your filter to reduce your device's energy consumption by up to 15 percent. Some filters are reusable – check your owner's manual to find out how to remove and properly clean the filter of your air conditioner. Removing dirt and grime from this part of the device can be especially helpful to those with allergies. Depending on your own level of expertise or the model of air conditioner in your home, you might want to consider bringing in a professional for help. An expert can ensure that your air conditioner is operating properly and spot any problems that could be developing. While he or she may charge a fee, it could be worth avoiding a costly repair later down the line. Depending on where you live, an air conditioner might simply be an essential part of your home. For this reason, it's important to maintain it over time. By taking these tips into consideration, you'll feel better about using your air conditioner to maintain your level of comfort.